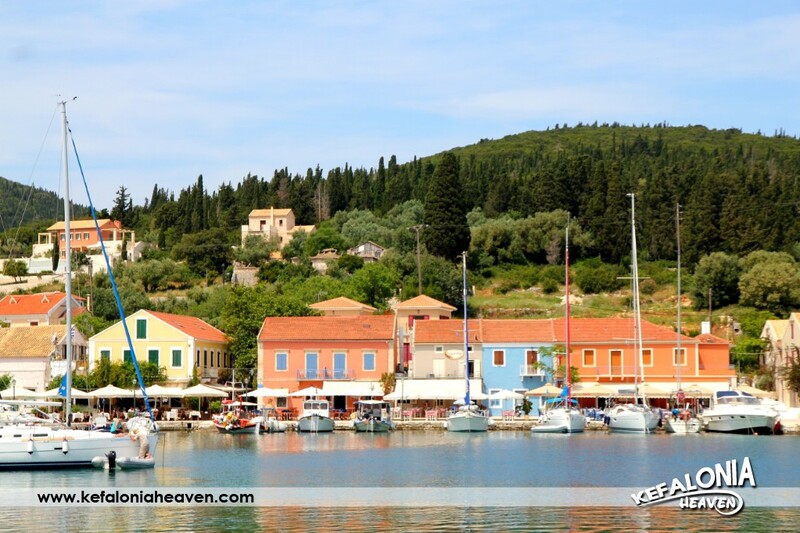 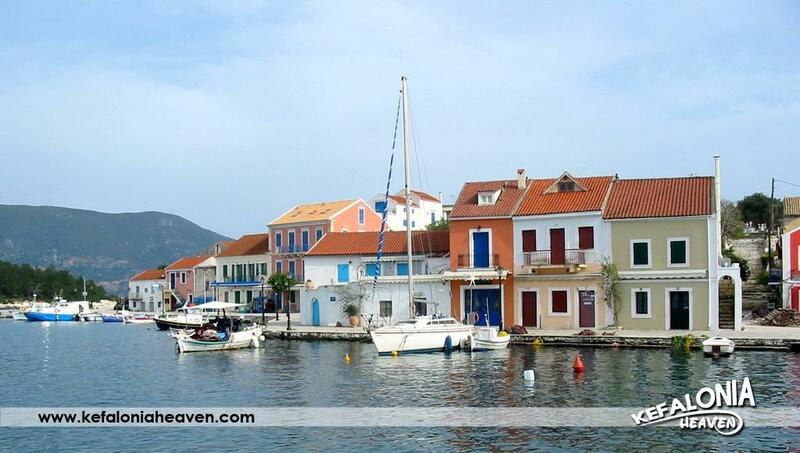 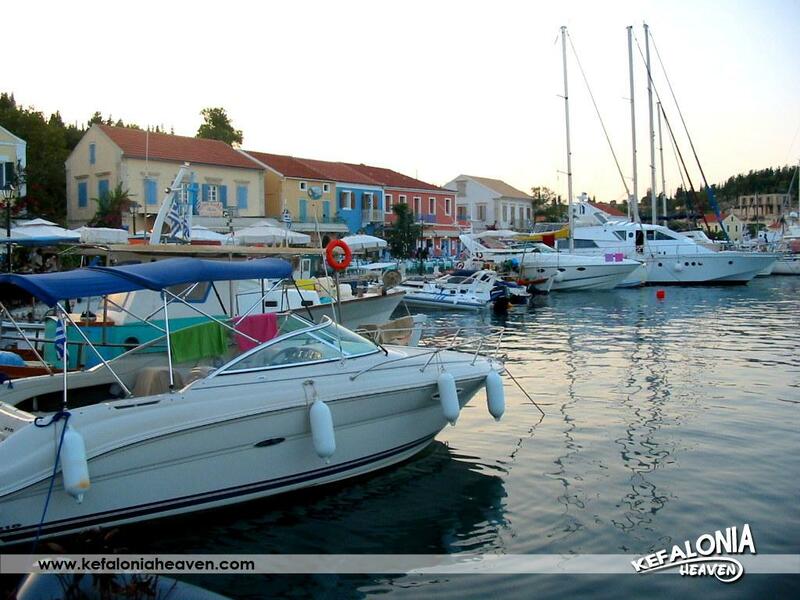 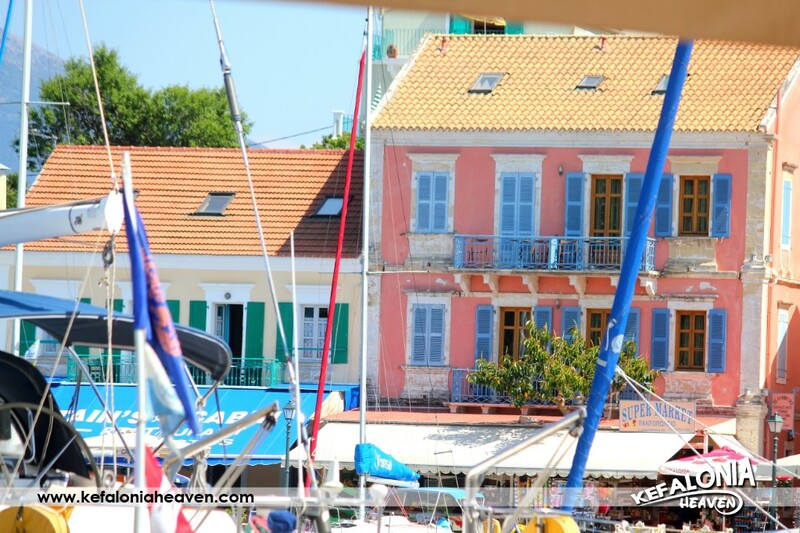 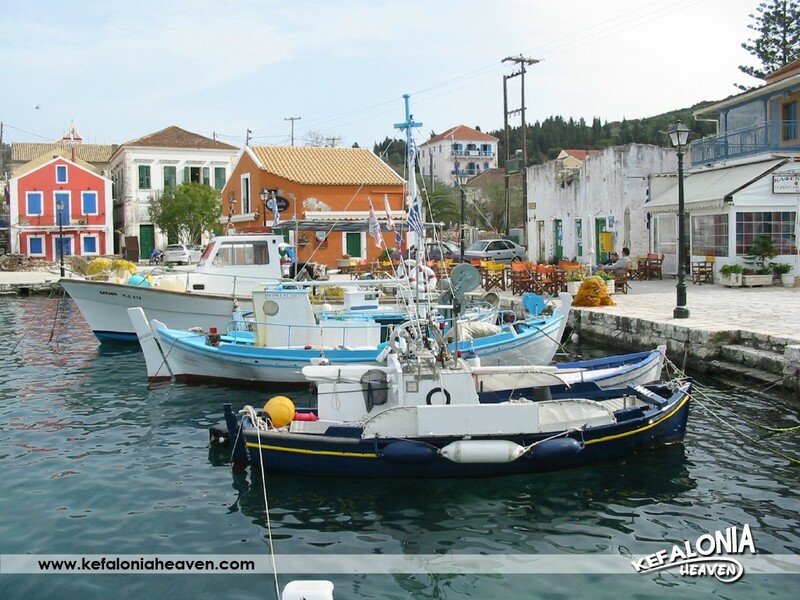 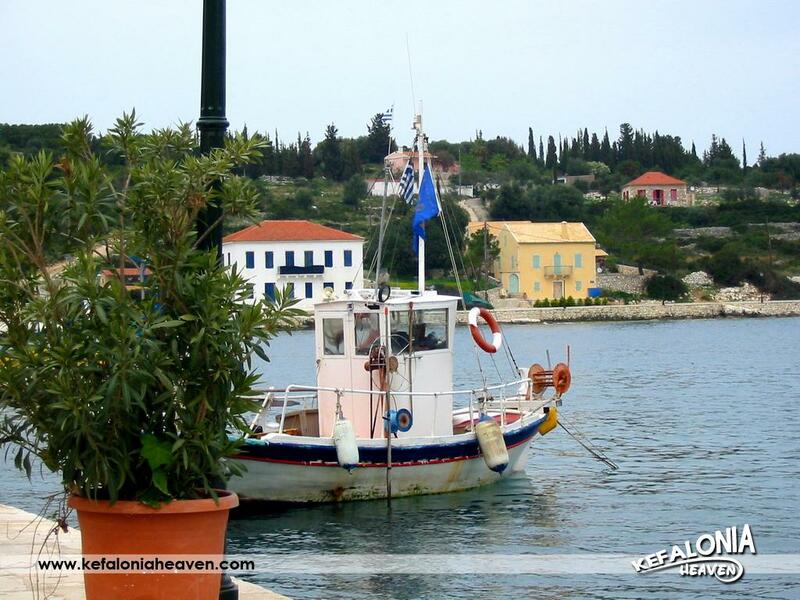 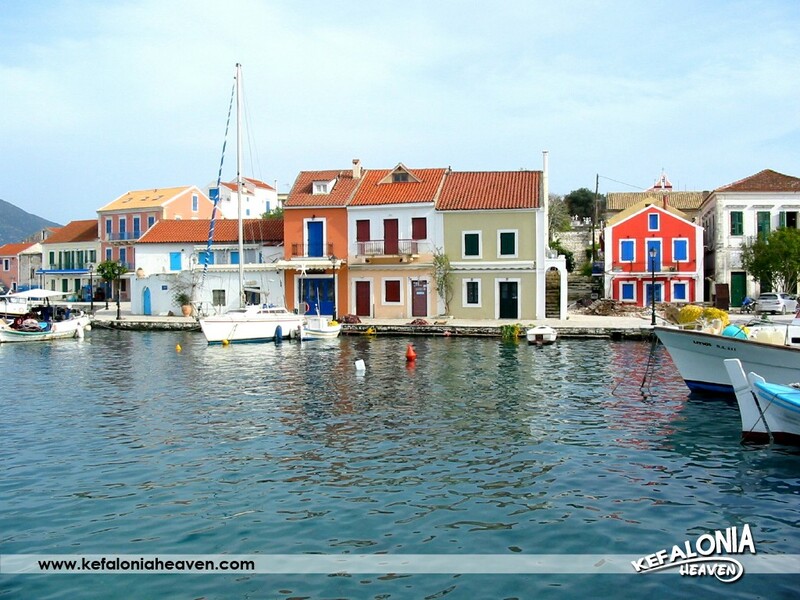 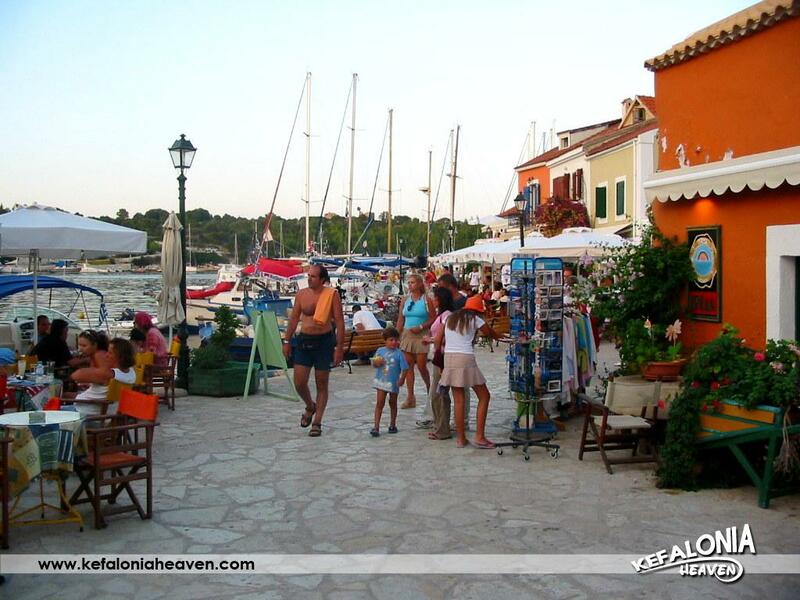 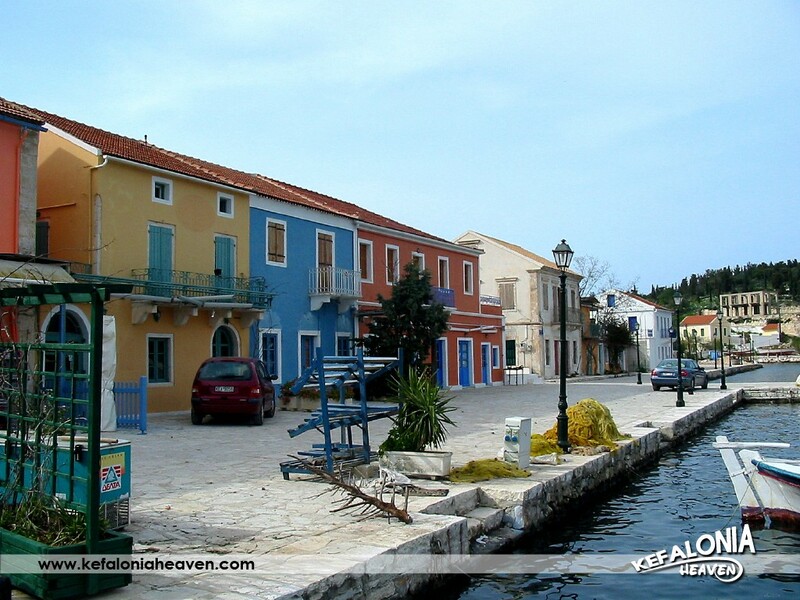 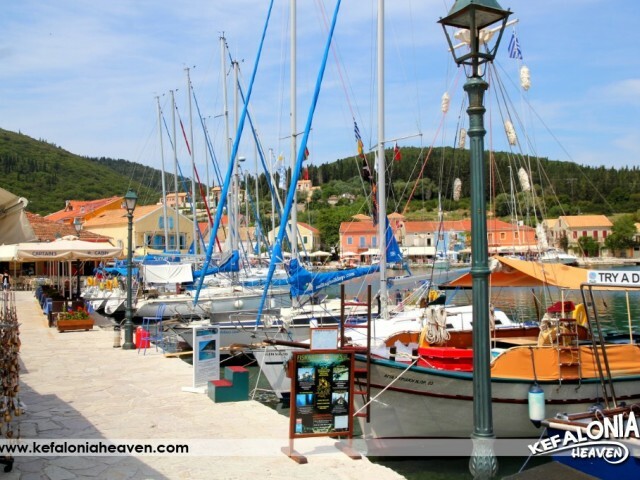 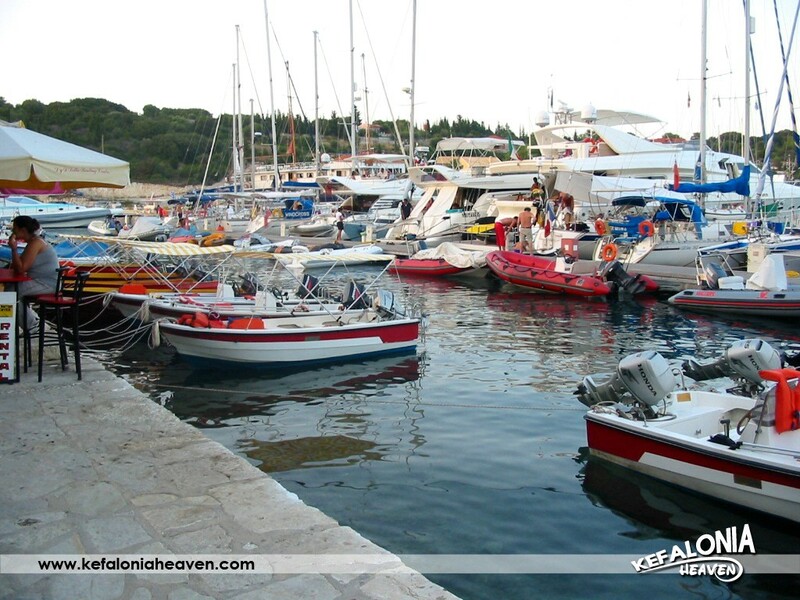 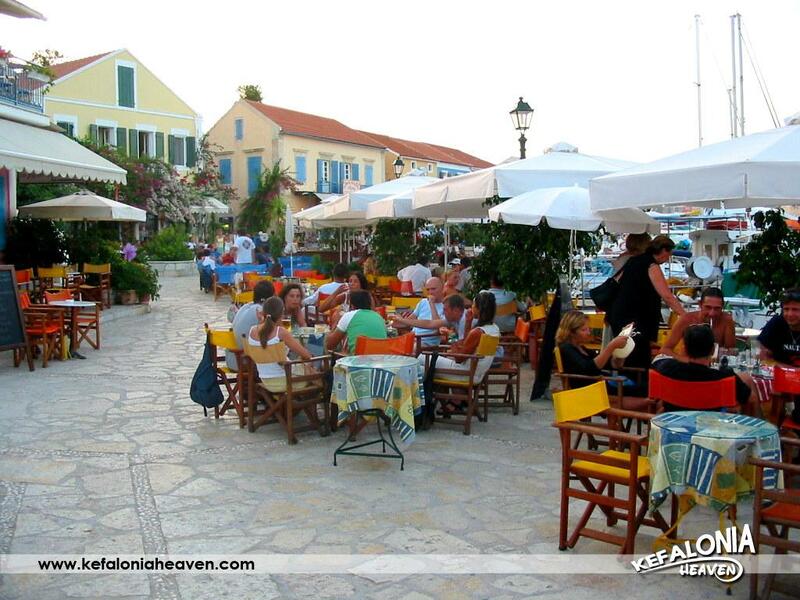 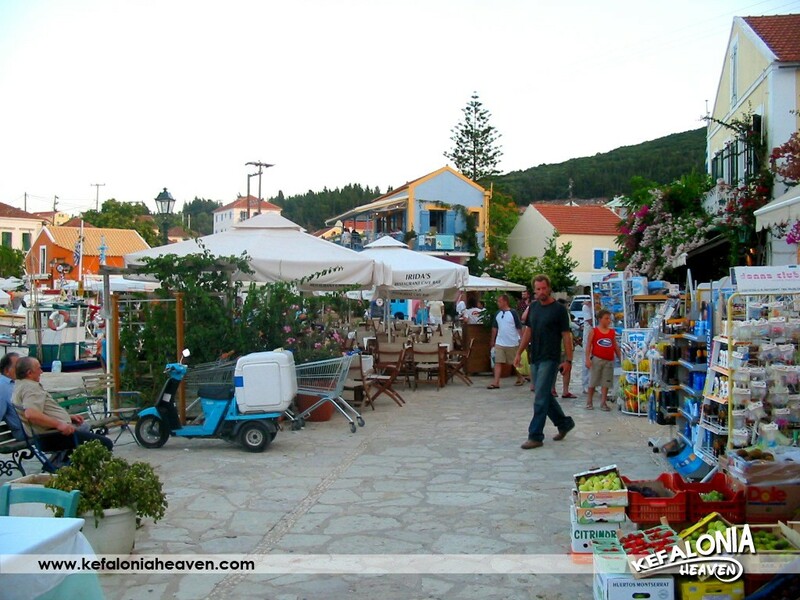 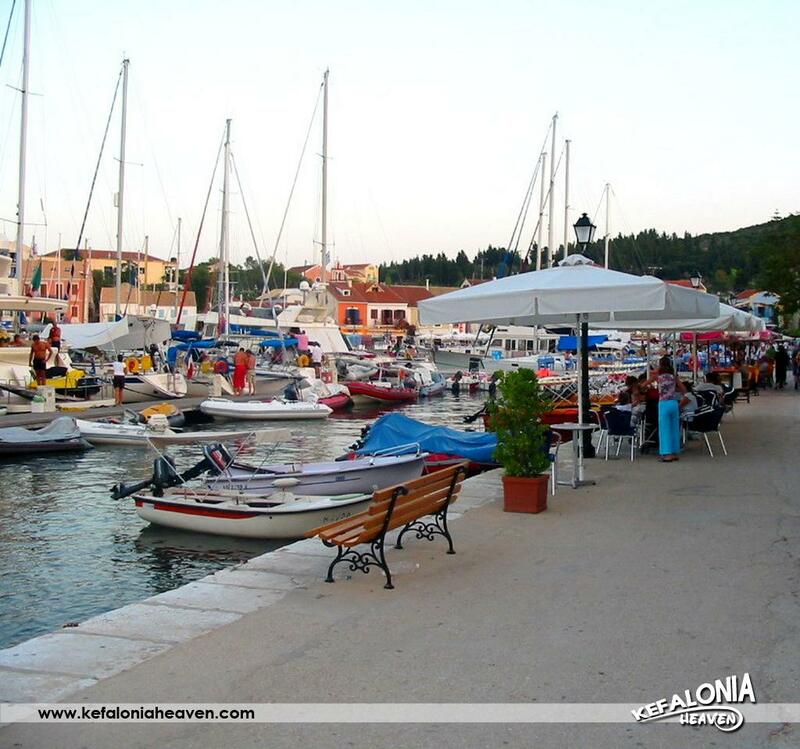 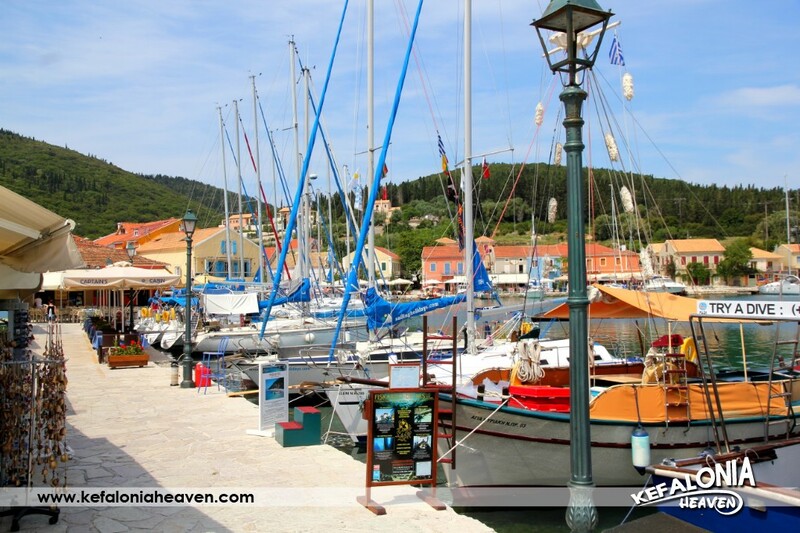 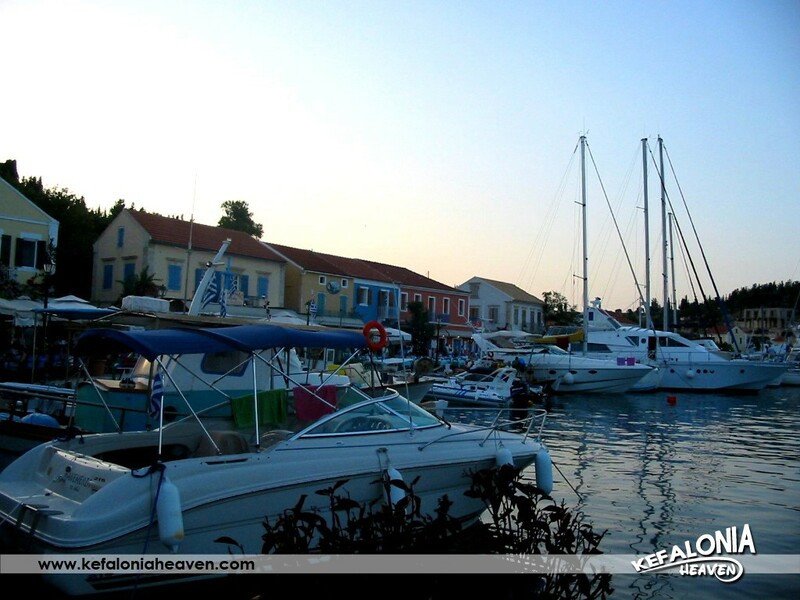 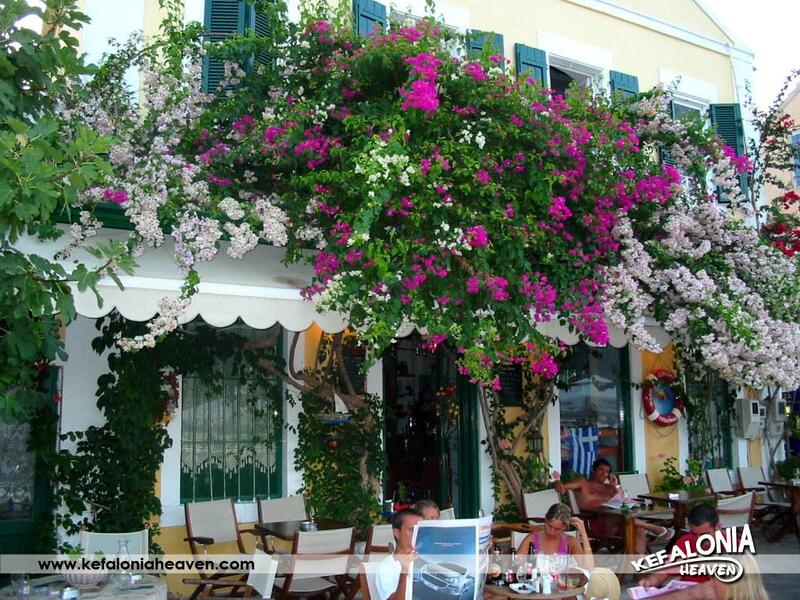 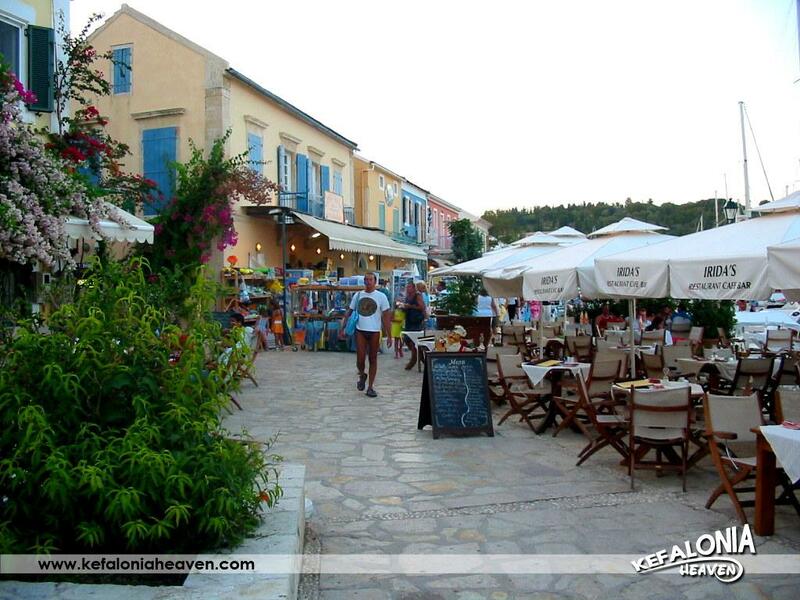 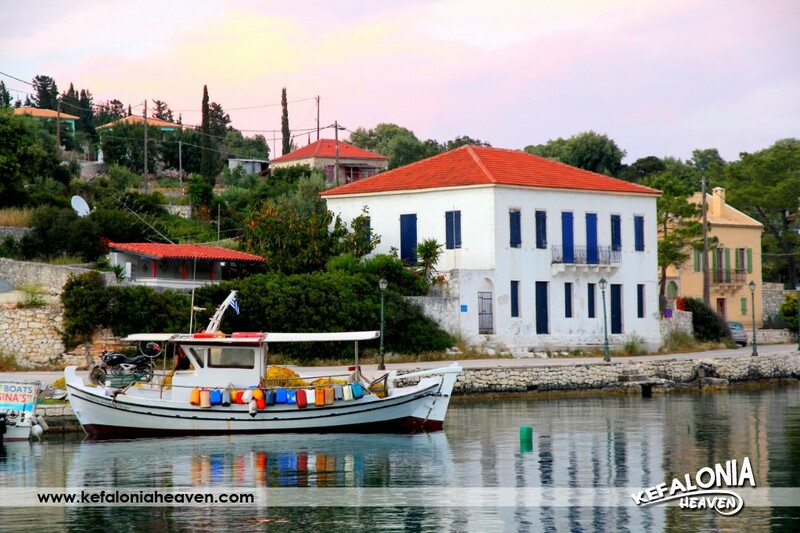 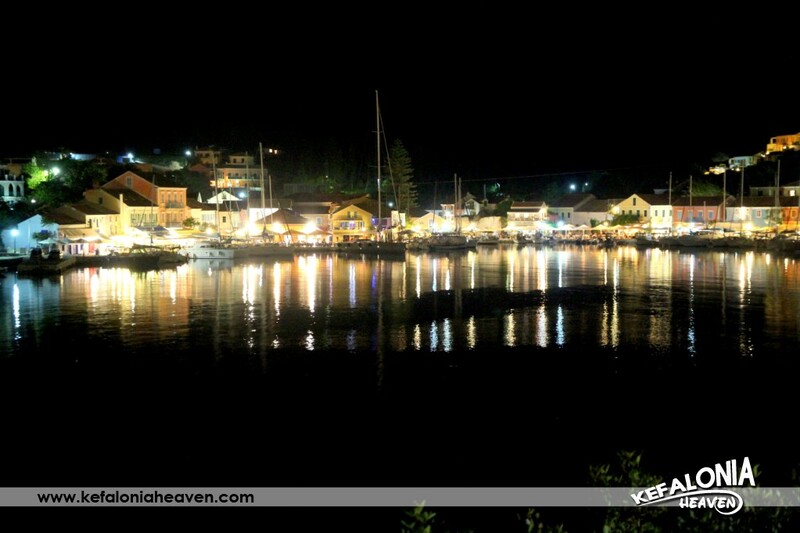 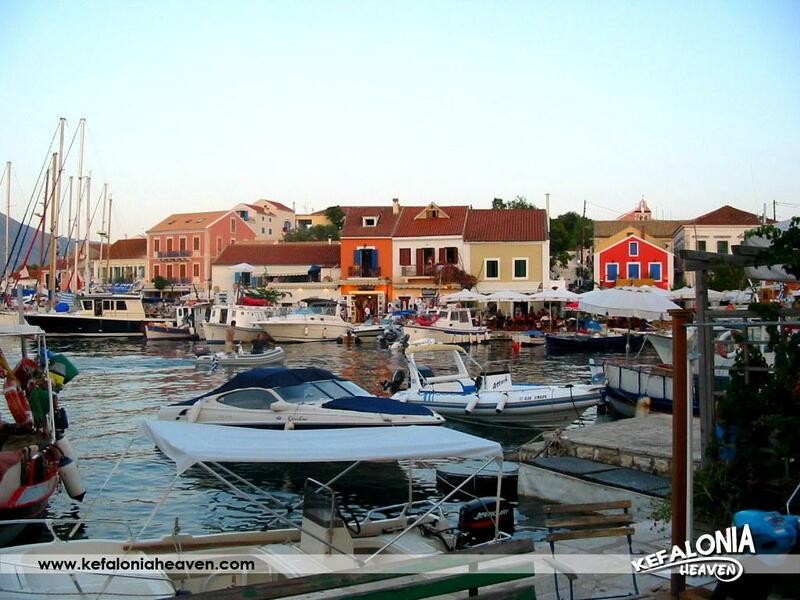 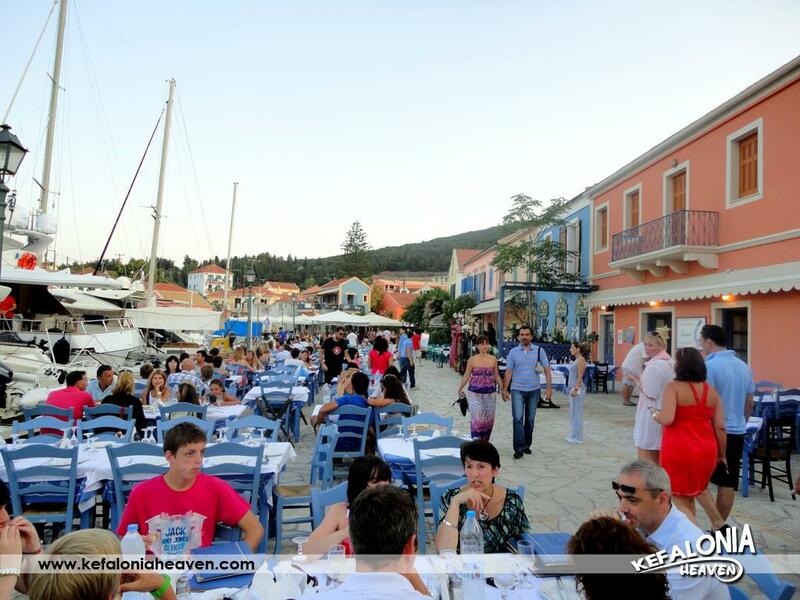 Fiskardo is located on the Northeast tip of Kefalonia. 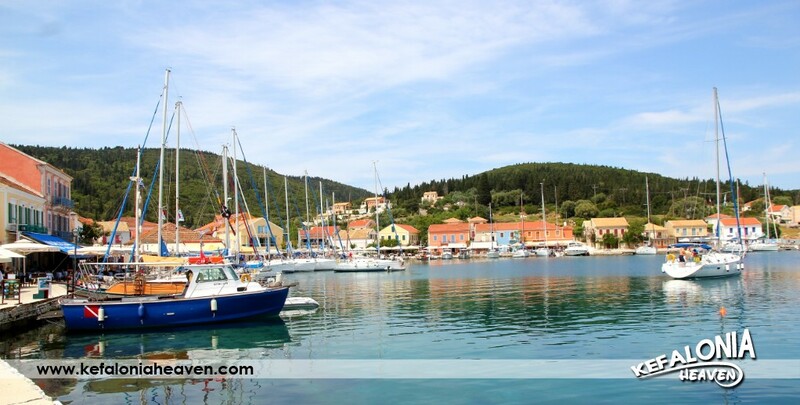 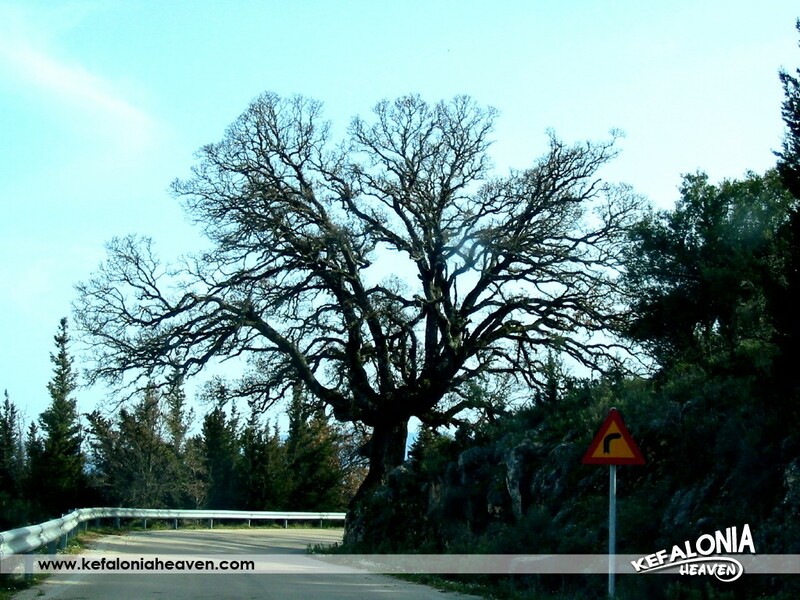 It is surrounded by hills, full of cypress trees and lentisks. 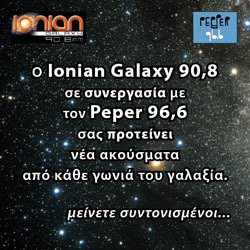 It’s 54km. 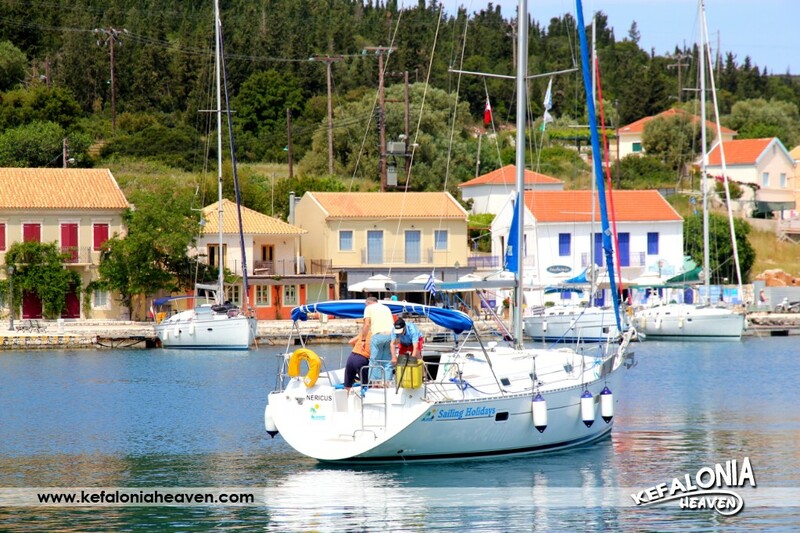 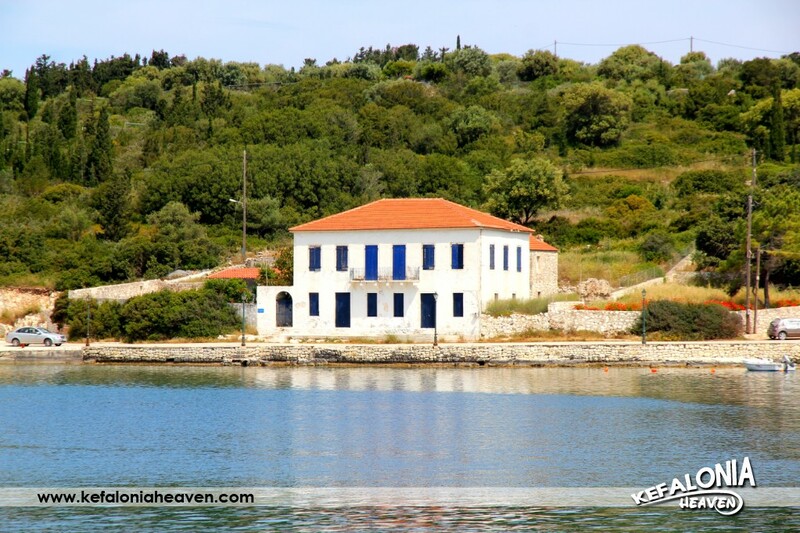 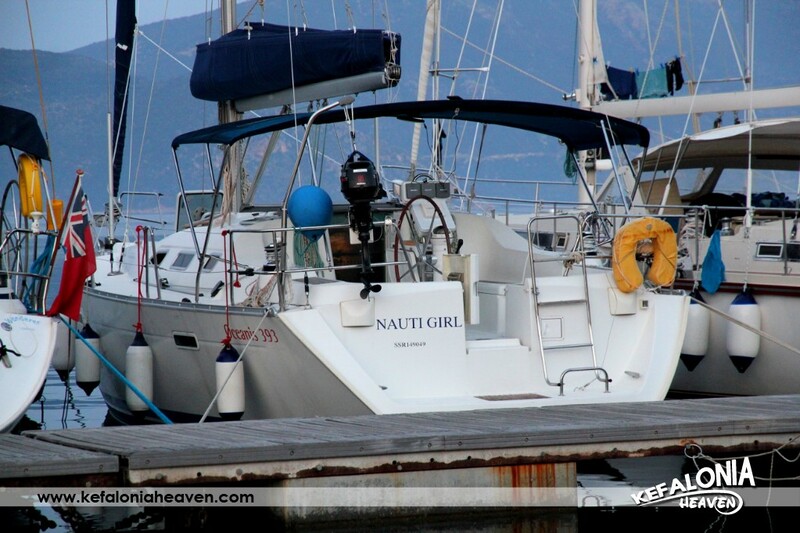 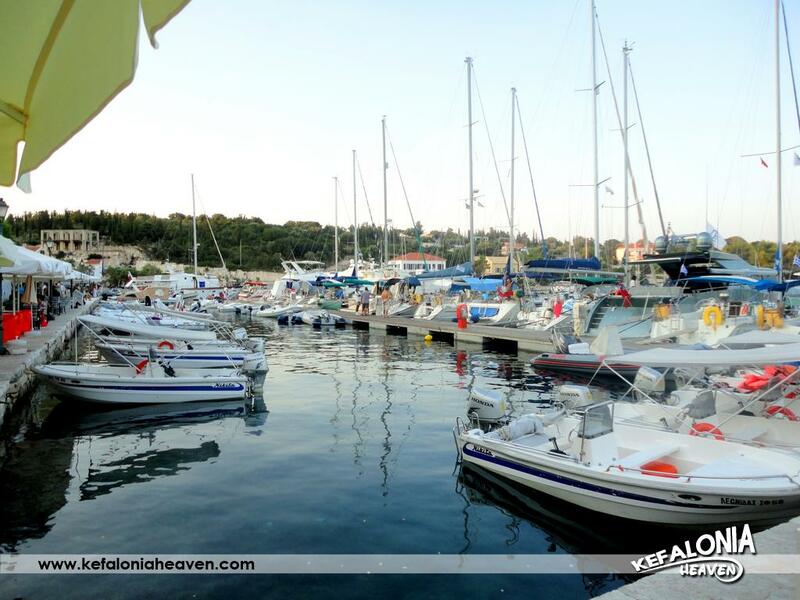 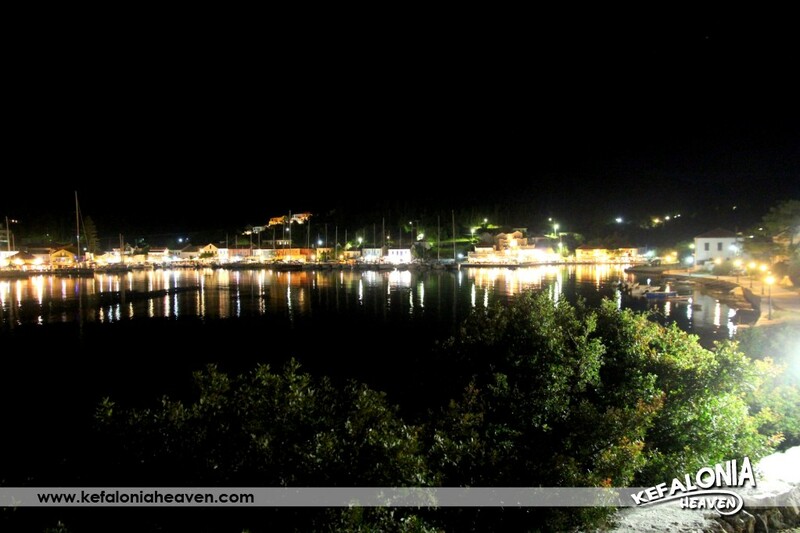 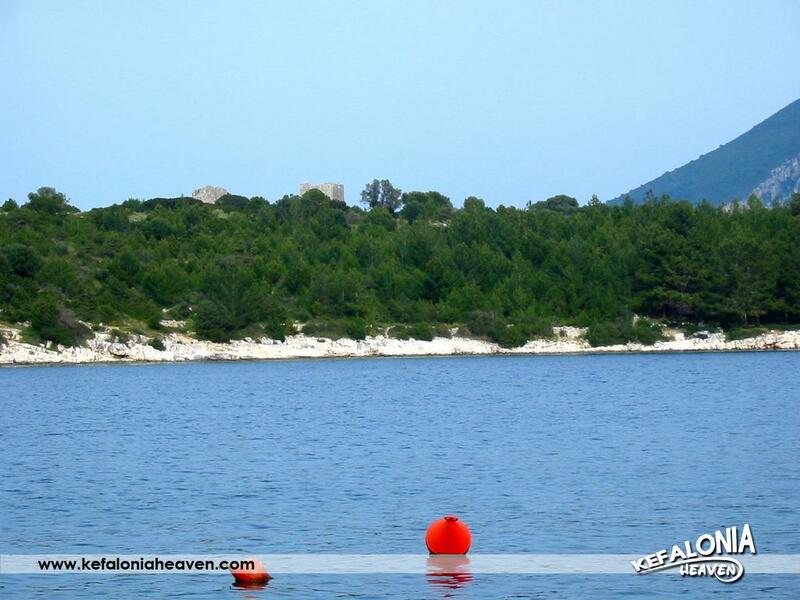 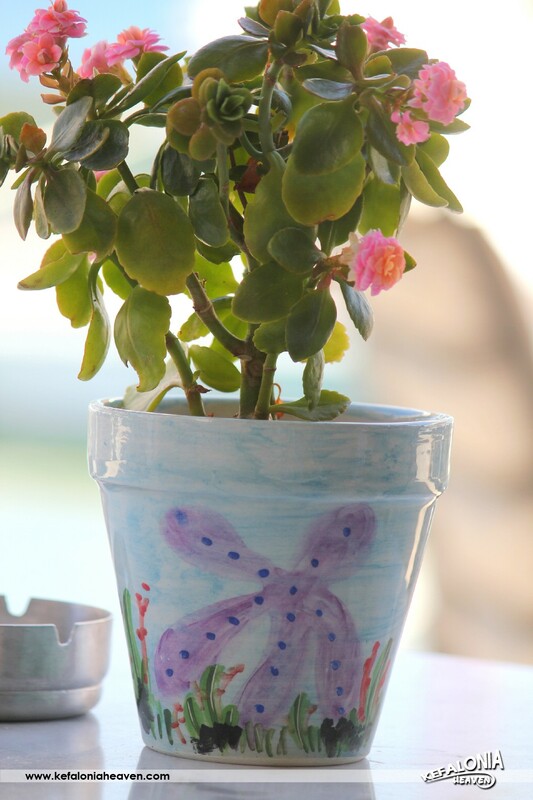 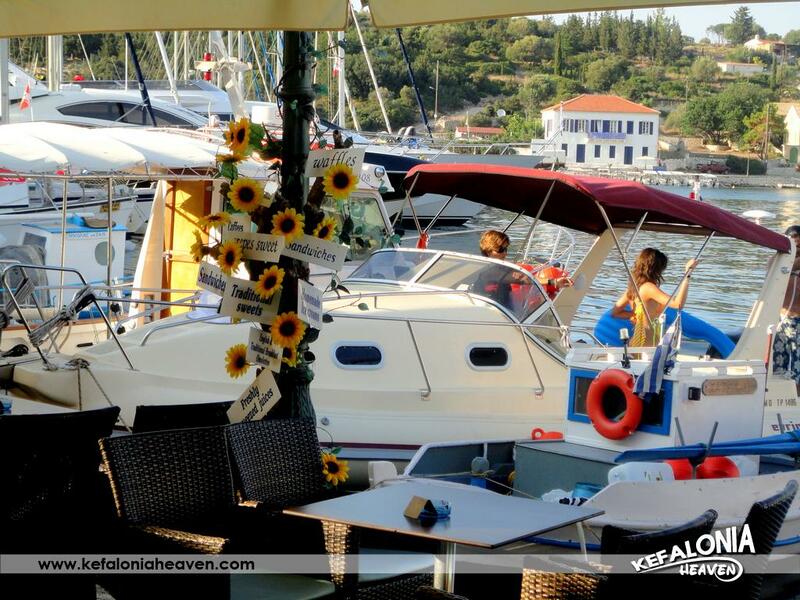 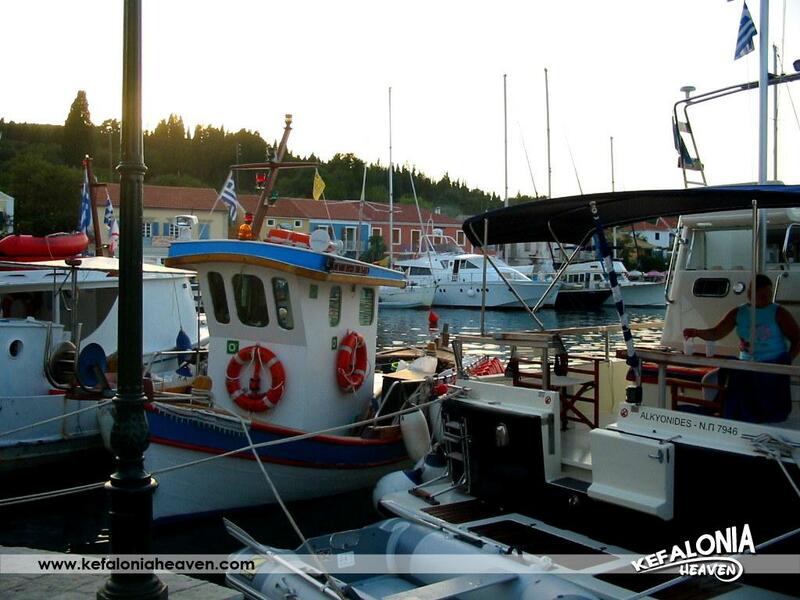 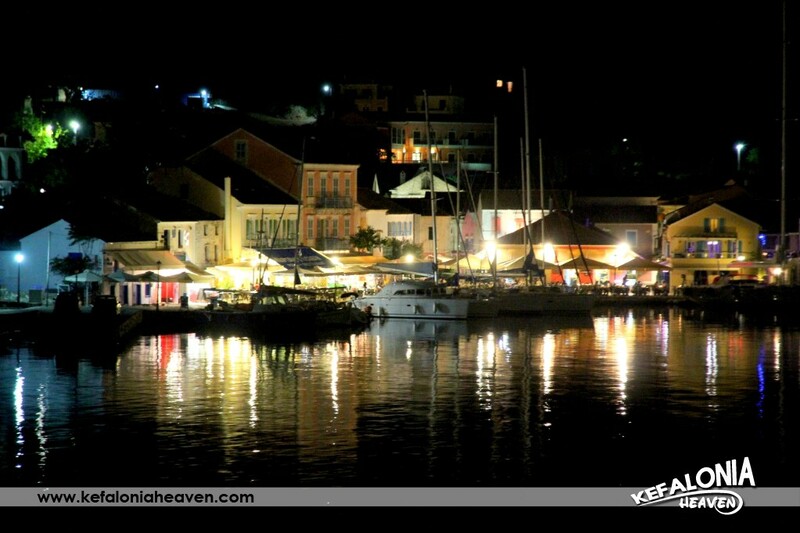 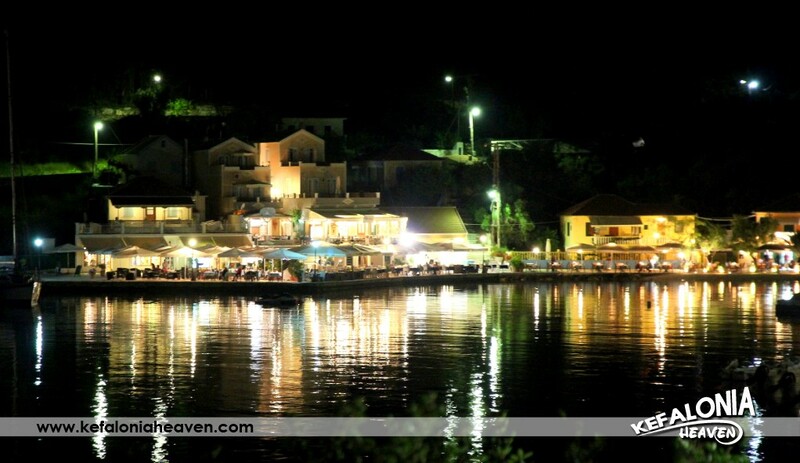 from Argostoli, 5 nautical miles from Lefkada and just 1,5 nautical miles from the coast of Ithaca. 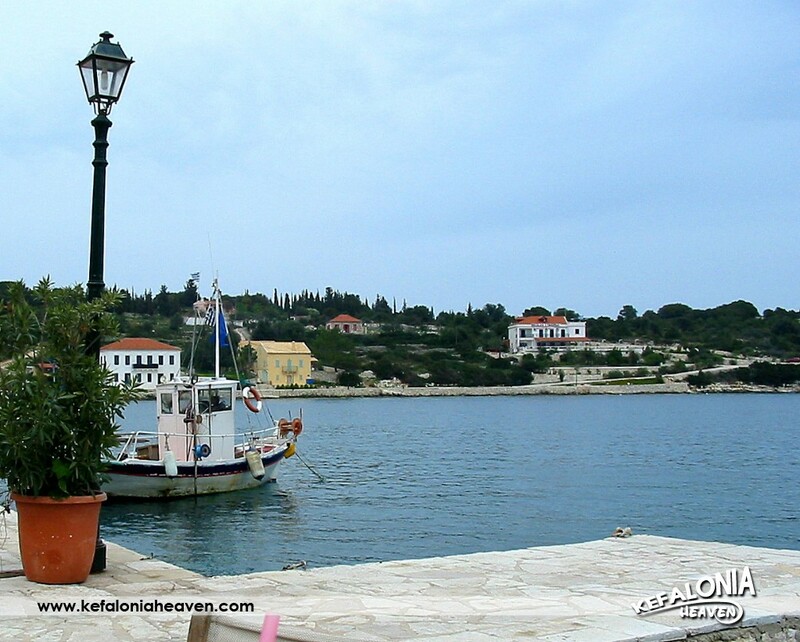 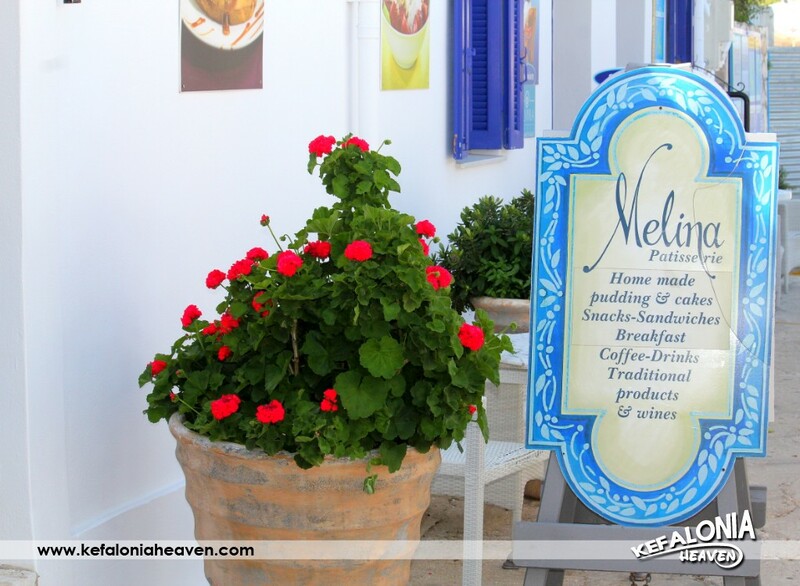 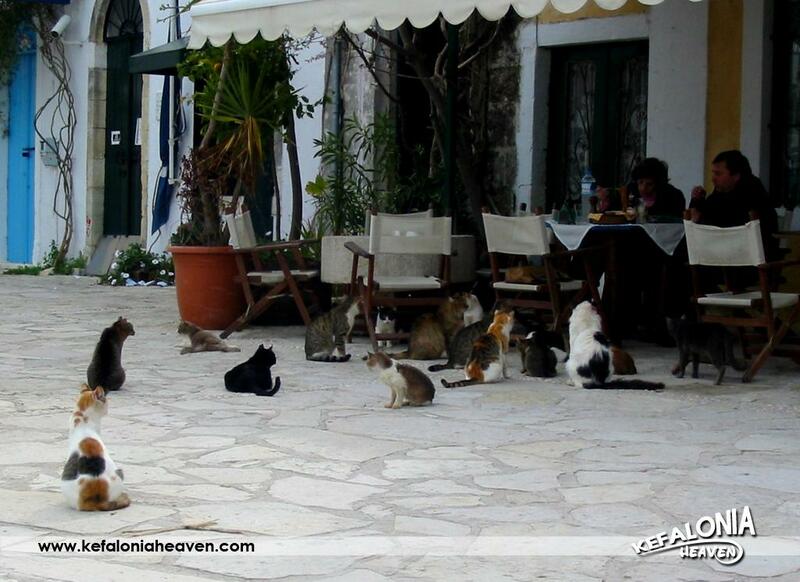 In August 1953 Kefalonia took the coup de grace. 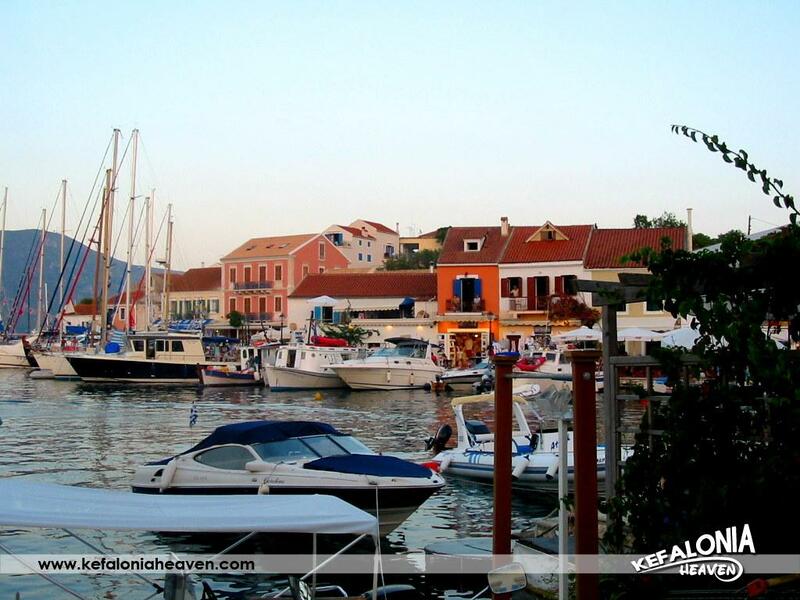 Terrible earthquakes strike the island and the result is catastrophic. 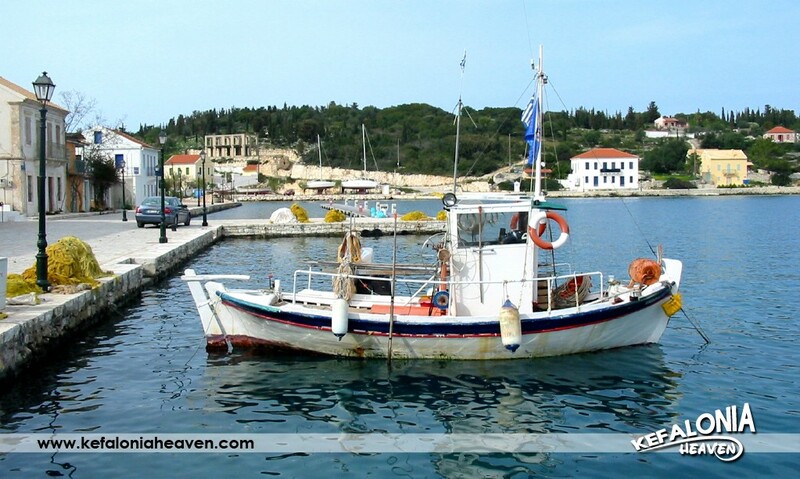 Port projects, water reservoirs, tanks, facilities of electricity and public buildings are rendered useless and, unfortunately, there were victims as well. 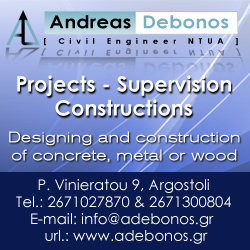 A great deal of the rebuilding is set upon the shoulders of the inhabitants, who are unable to cope and many families are forced to abandon the island and head towards urban centers. 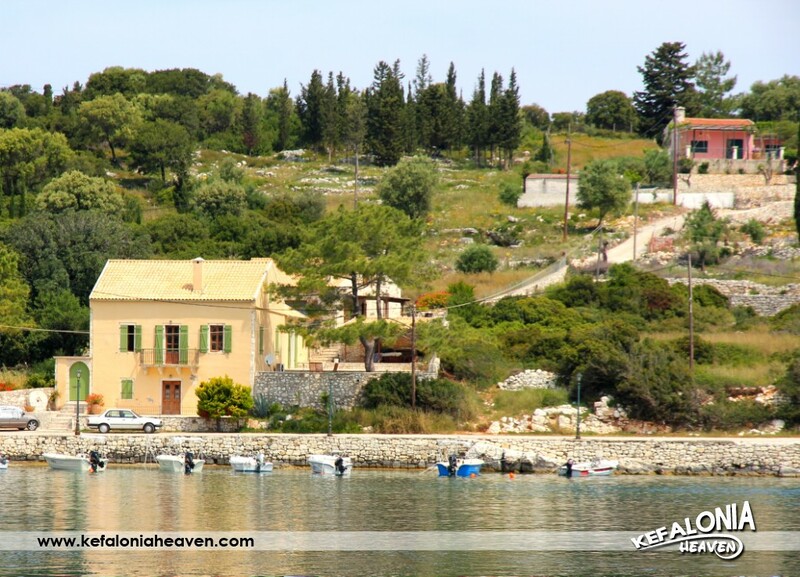 Fiskardo is the only village of the island where the damage was limited. 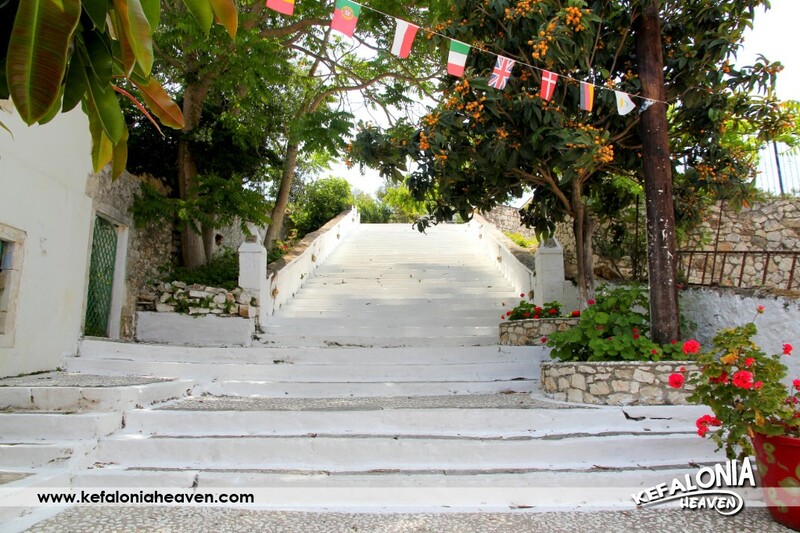 The houses withstood 3000 seismic tremors and aftershocks which were recorded from August 1953 to April 1954. Seismologists interpreting this exclusion said that in the subsoil near Fiskardo, there is a fissure which cuts off this part of the island and abates the intensity of the earthquake. 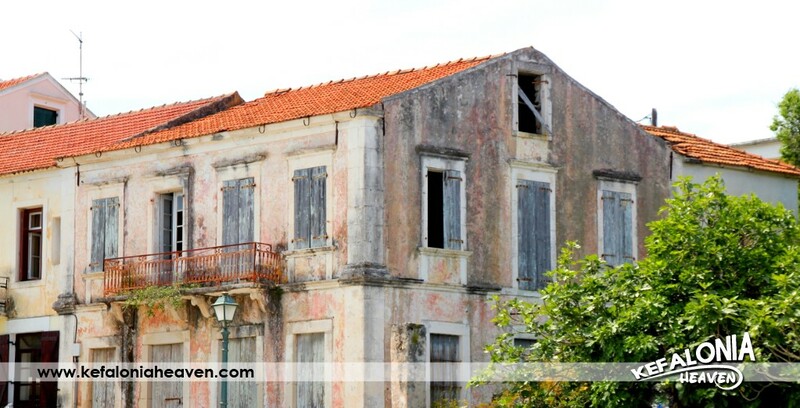 Also, the solid limestone subsoil played a part in the preservation of the buildings. 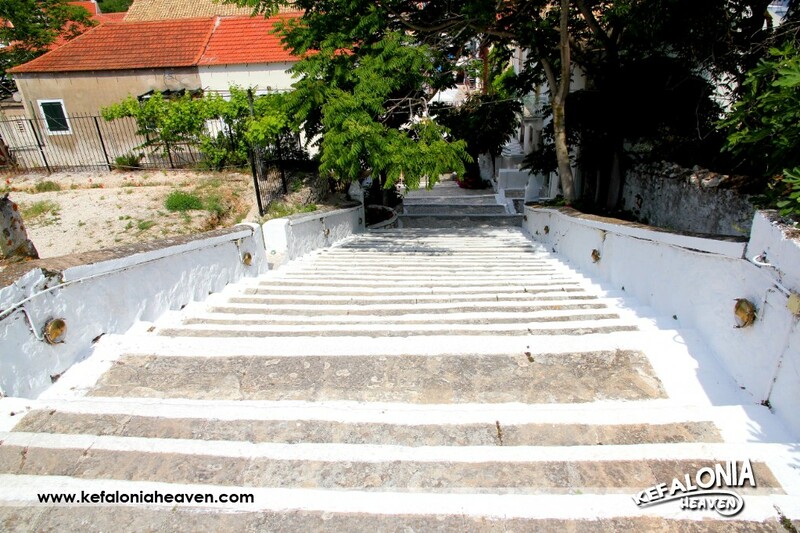 The Greek government declared the village of Fiskardo as one of the top eleven traditional settlements with special creative characteristics and architectural form in need of protection. 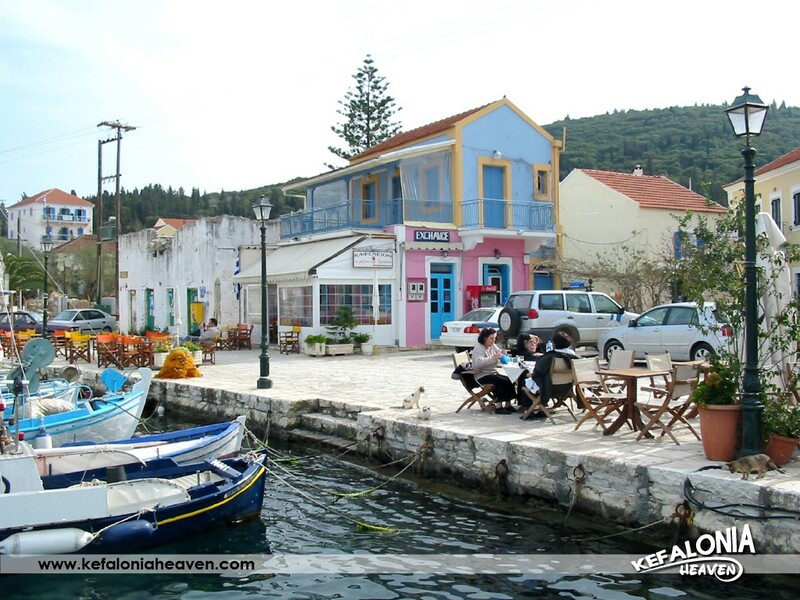 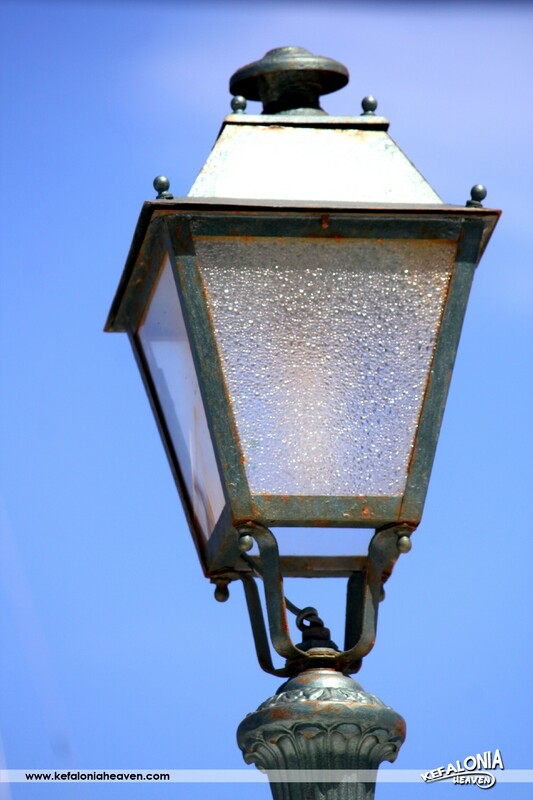 What is also noteworthy is the fact that the region of Erisos has been characterized as an area of particular natural beauty. 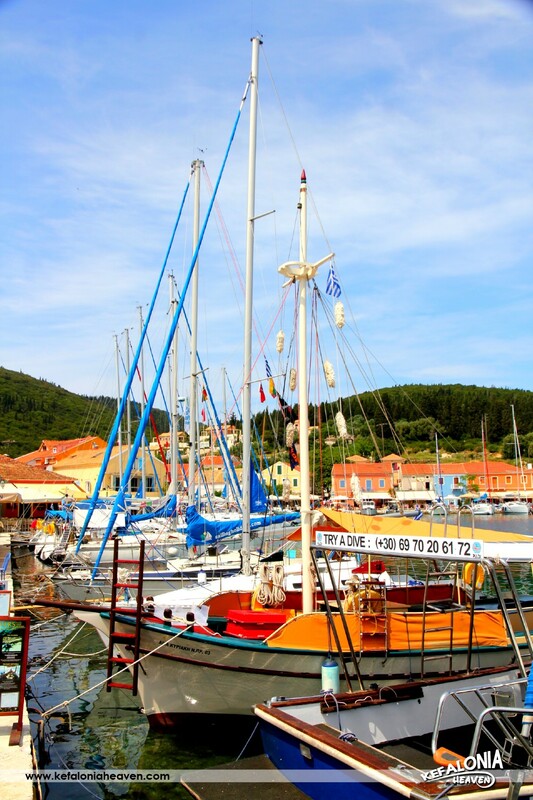 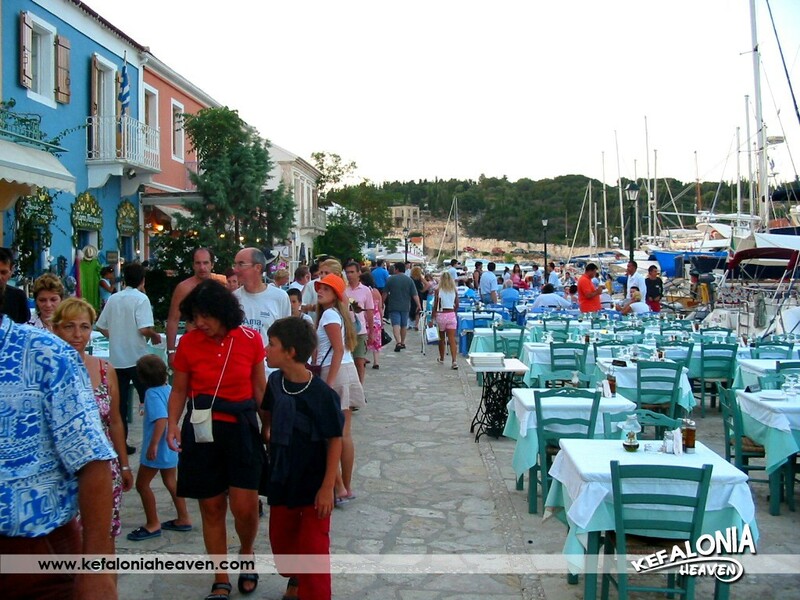 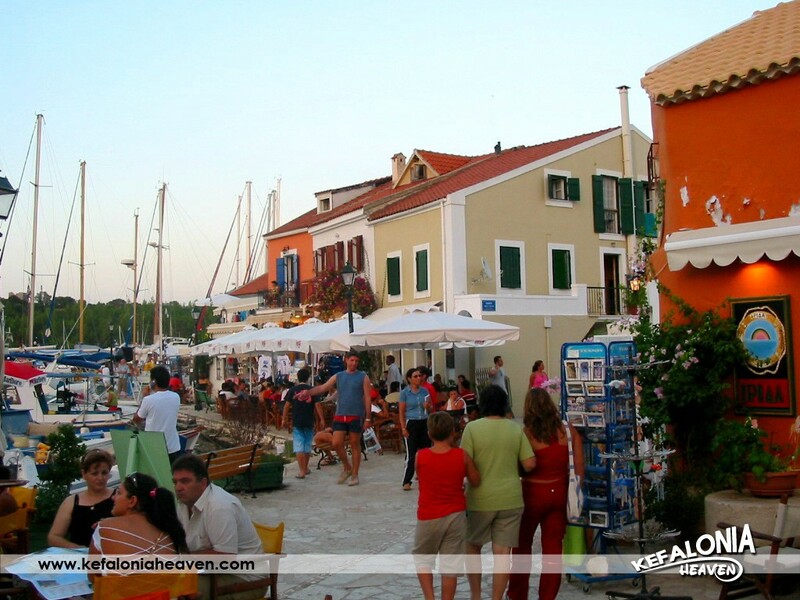 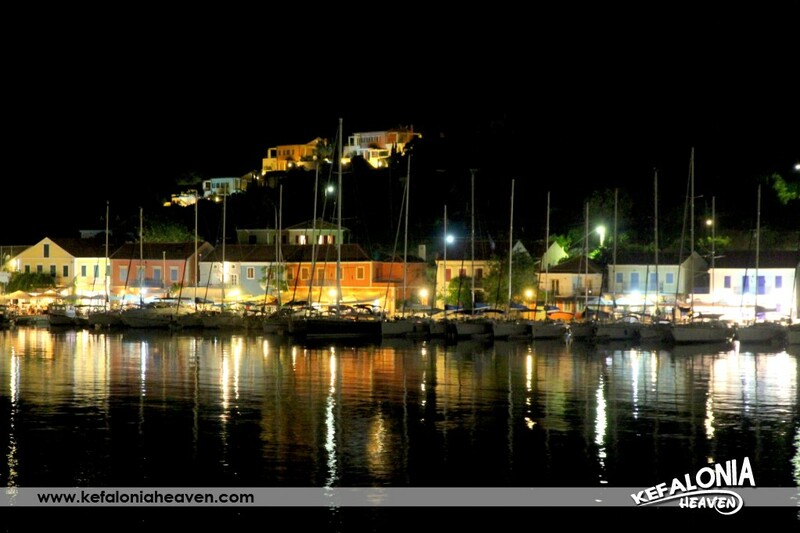 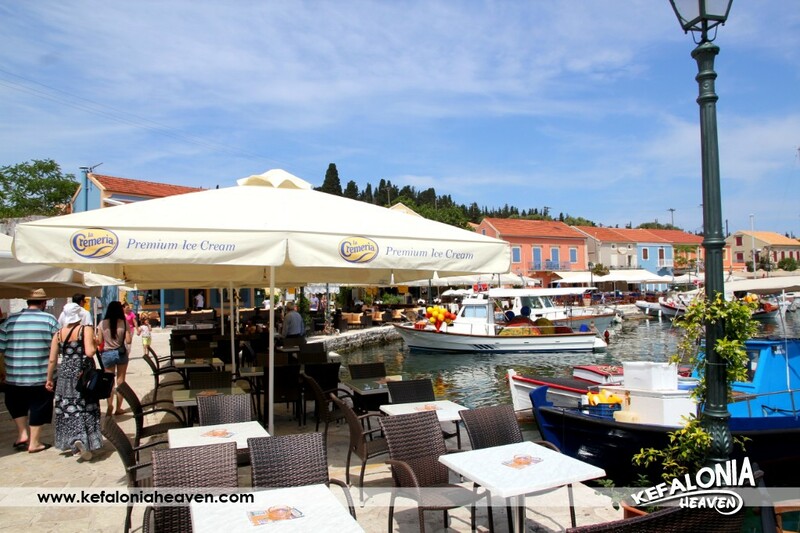 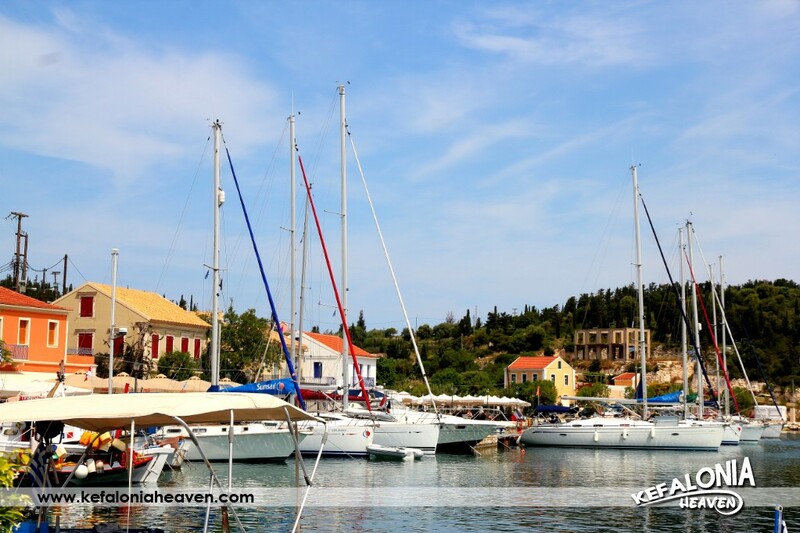 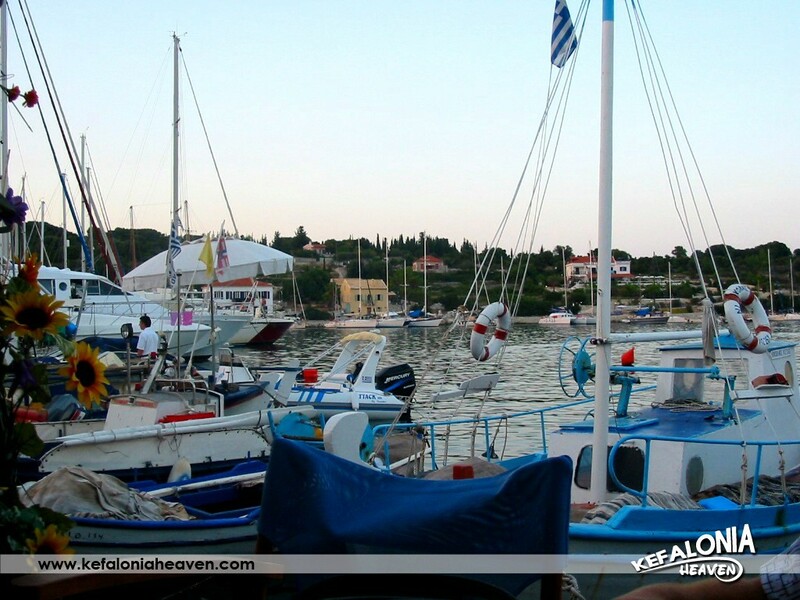 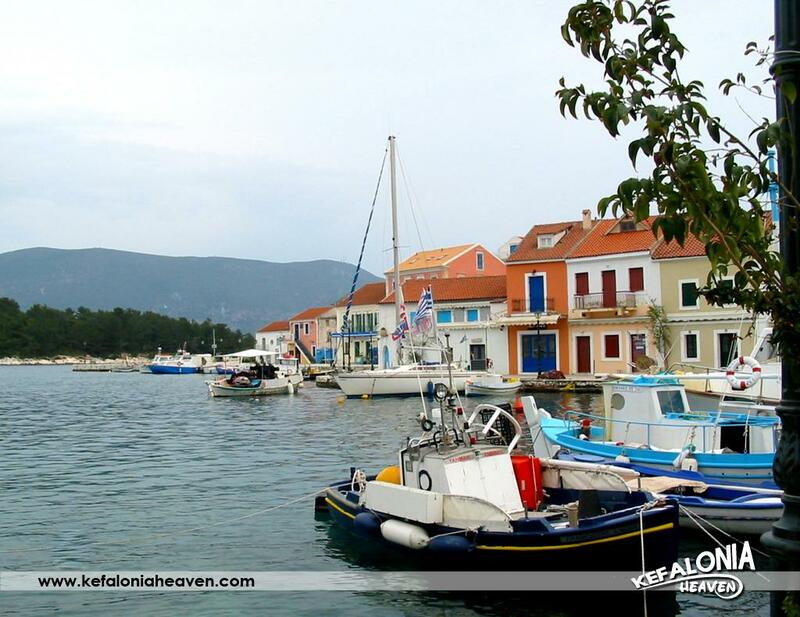 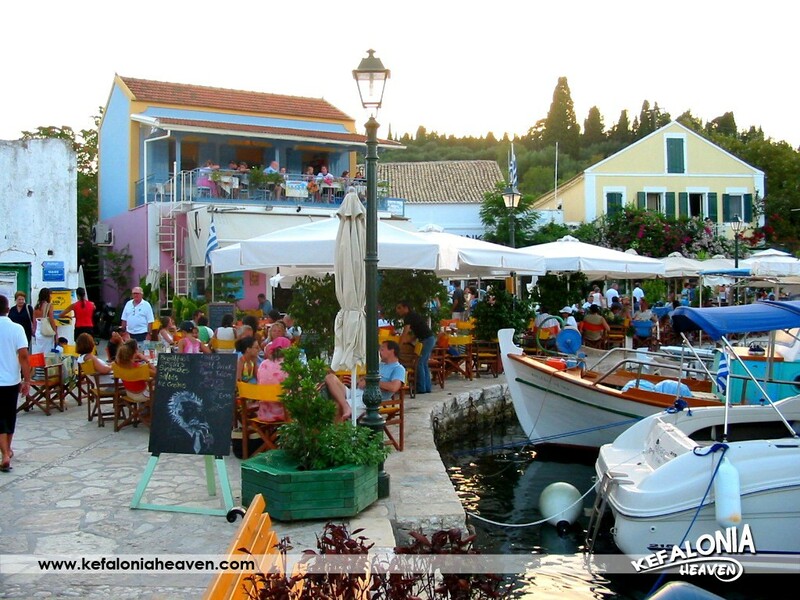 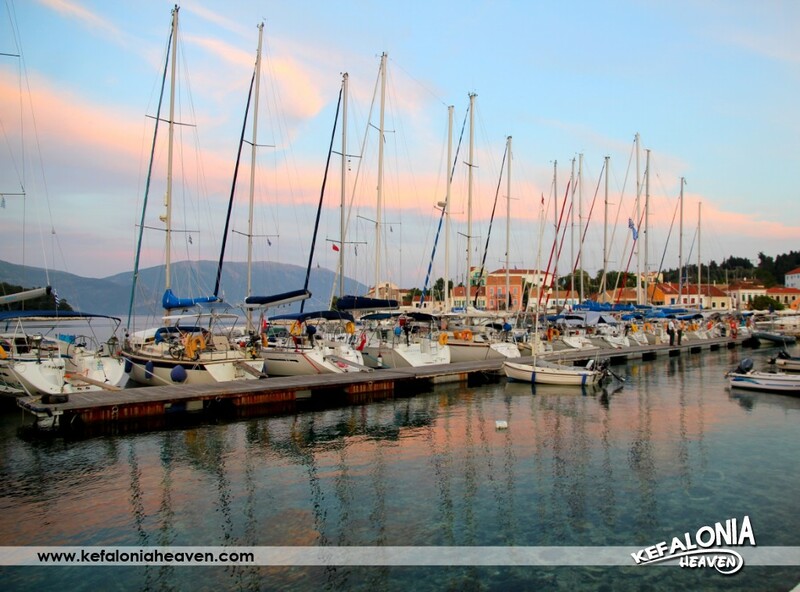 Fiskardo is one of Greece’s most cosmopolitan places and it attracts both the Greek and international jet set. 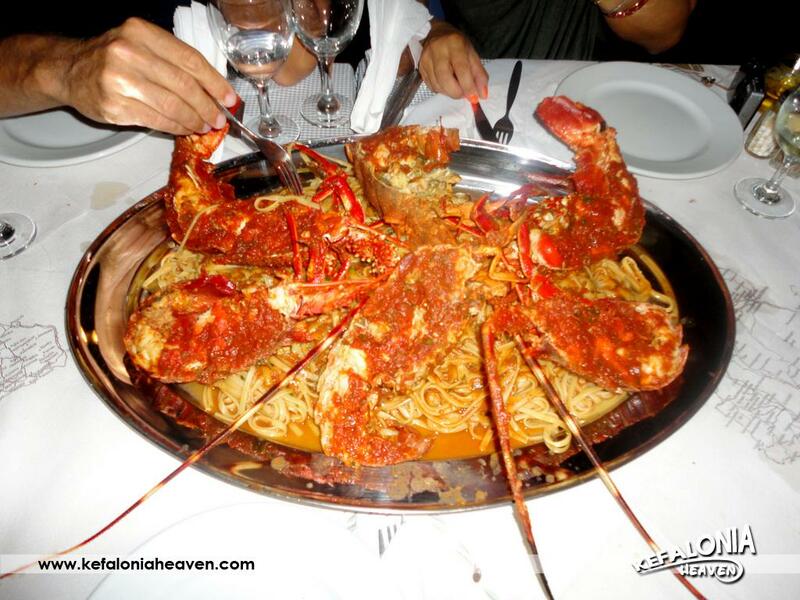 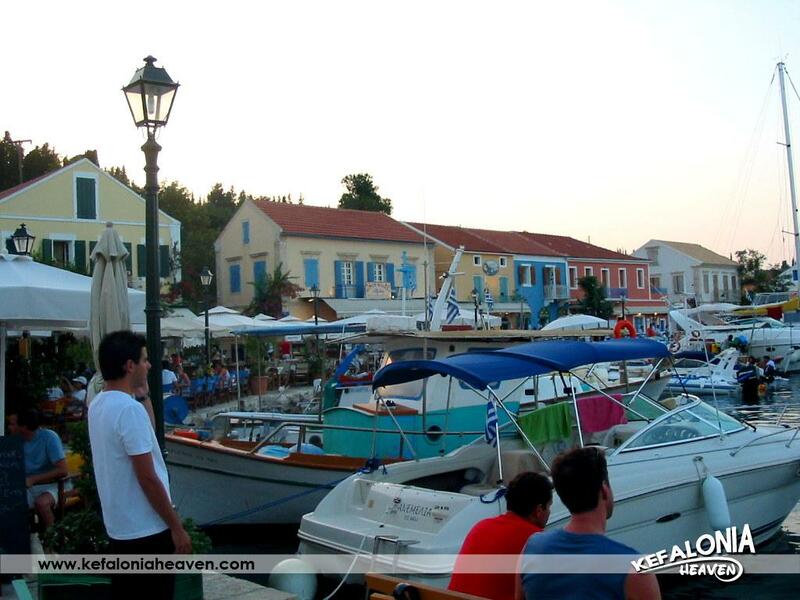 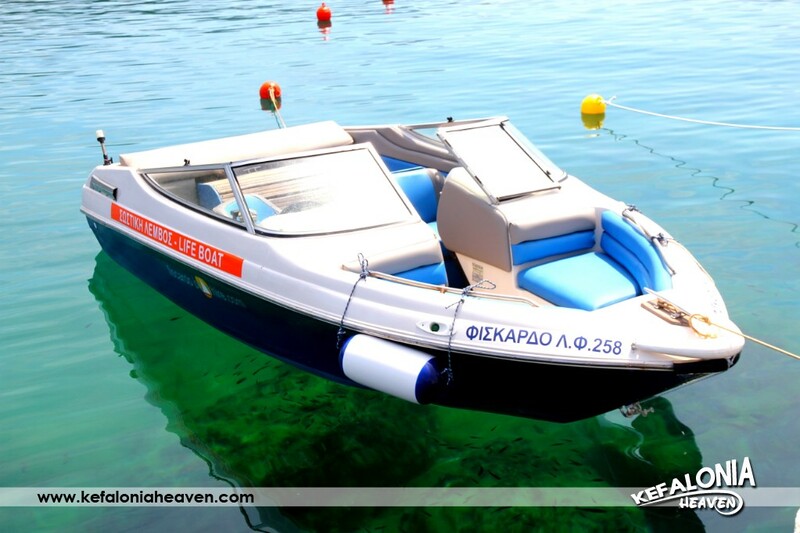 Many celebrities are literally fans of Fiskardo such as Antonis Remos, Ilias Psinakis, Eleni Menegaki, Dimitris Kopelouzos, Marianna Latsi, Gianna Aggelopoulou Daskalaki, Terrence Quick, Nikos Aliagas, Socratis Kokkalis, Steve Kaketsis and many other Greeks. 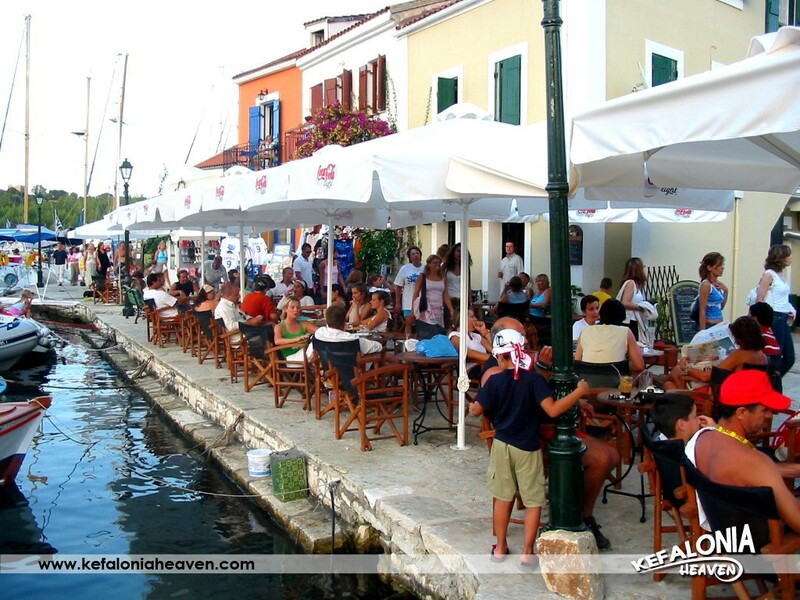 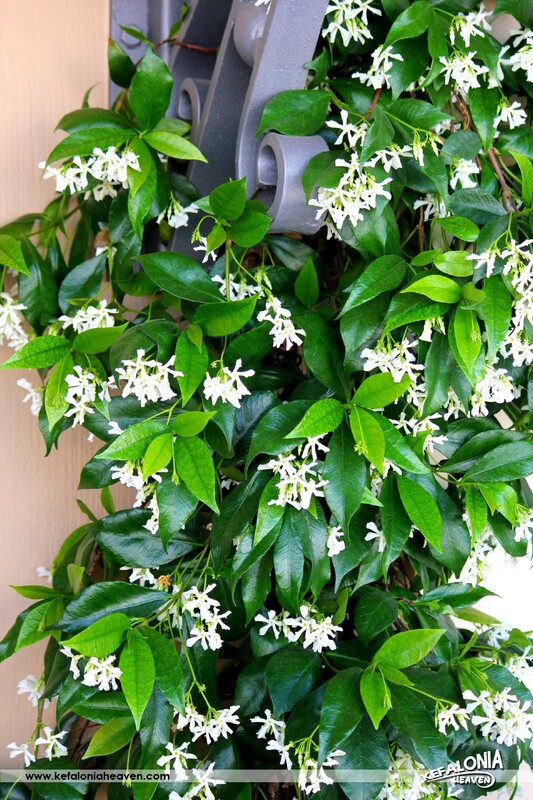 International personalities who are fans of Fiskardo are, among others, Steven Spielberg, Tom Hanks, Leonardo Di Caprio, Roman Abramovic, Madonna, Paris Hilton, Jon Bon Jovi, Demi Moore, Richard Gere, Jimmy Carter, the Emir of Qatar, Oprah Winfrey and many others.